It's not difficult to draw some intriguing parallels between the storylines of Hubbard author William D. Burt's fiction and pathways mapped through his life. 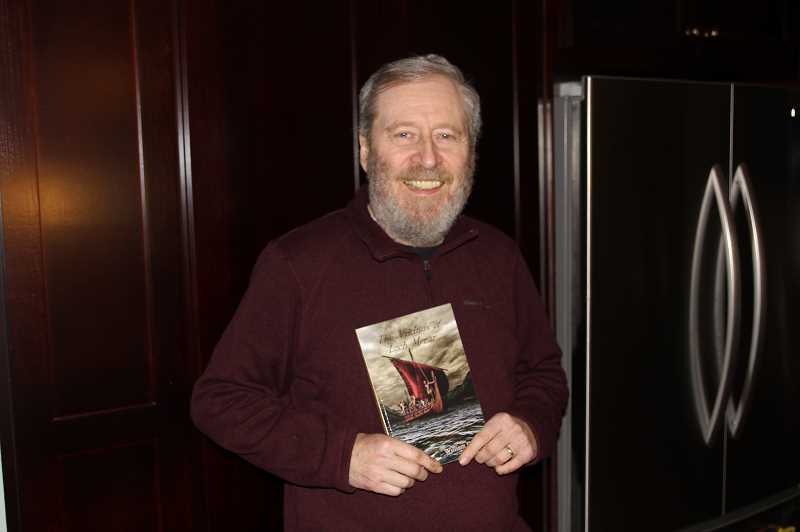 On Thursday, April 4, Burt officially published the second novel in his "Creation Seekers" series, his ninth overall, "The Vikings of Loch Morar," a Christian themed, science fiction saga that furthers the adventures of Jonathan Oliver, with whom readers became acquainted in the series' initial "The Lake Lights," published in 2017. The tale takes readers from Lake Oswego's Iron Mountain, through the deepest freshwater Loch of the British Isles, all the way to a Scotland retreat with Viking artifacts, retooled and futuristic devices (anti-gravity inventions, gyro sensors, bathysphere and force fields), villainous subversions and even a romantic twist with an old flame along the way. Burt said work on his Creation Seekers series has involved considerably more research than his previous seven-part series of Christian fantasy novels, "King of the Trees," which he published between 1998 and 2010. "King of the Trees" main premise through the series is the "Torsil Tree;" one in which you climb all the way up to the top and back down and it takes you into a different world. That series was awarded a silver medal in 2014 in the Reader's International Book Award Contest in the Christian fantasy category. "I just felt I was called initially to write that first series because I liked C.S. Lewis and I liked (J.R.) Tolkein," Burt mused. "I wanted to write something that was a combination of the two." Burt, 66, grew up in Lake Oswego, environs that provided the Iron Mountain imagery in the setting of his current series. After graduating from Lake Oswego High School, he studied for a year at Oregon State University, but finished his Bachelors in English closer to home at Lewis & Clark. Later he received a Masters in deaf education at Western Oregon University where he also worked as a sign-language interpreter and eventually as a program coordinator in the field for Oregon, Idaho and Alaska. He and his wife, Johnnie, attend Hoodview Christian Church in Woodburn. Their spirituality and adventure perhaps mesh most vividly through travels, including missionary work in Romania and a stint in the mysterious, far-eastern Russian peninsula of Kamchatka. Burt is not only fluent in sign language, but he is also a self-taught Russian speaker. So there is a mix of faith, vast variety of imagery and assorted experiences to tinge Burt's thoughts when he sits down to write. With that he can imbue the process with creativity. "I use science fact and science fiction – it's a combination," Burt said. "I use historical fact that I tweak for the purpose of the book." Viking artifacts found following an explosion on Lake Oswego's Iron Mountain is a perfect example of the latter. When one of those relics creates a "remarkable spinoff from the Oliver family's anti-gravity inventions,"described in the story's synopsis, demonstrates the former. The stories are intended to be enjoyed by youth and adults alike, and are accompanied with illustrations provided by former Woodburn resident (now of Reno, Nevada) Becky Miller. While well-travelled, the Burts have called Hubbard home for more than 30 years. They've raised two kids and enjoy visits when they return with the Burts' "3 ½" grandchildren. 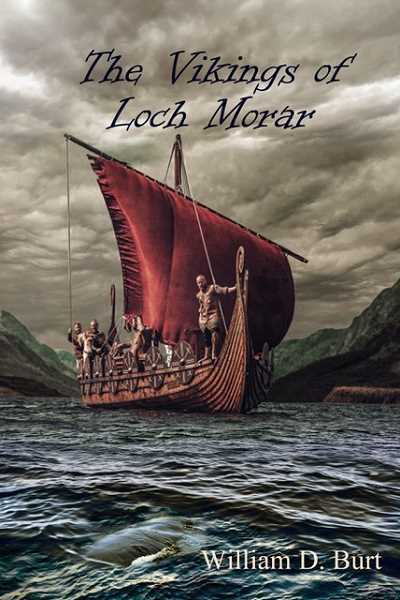 Burt's works, including "The Vikings of Loch Morar," are available online through Amazon, Kindle, Barnes & Noble and will eventually be sold at Rainbow West Christian Books & Supply stores.